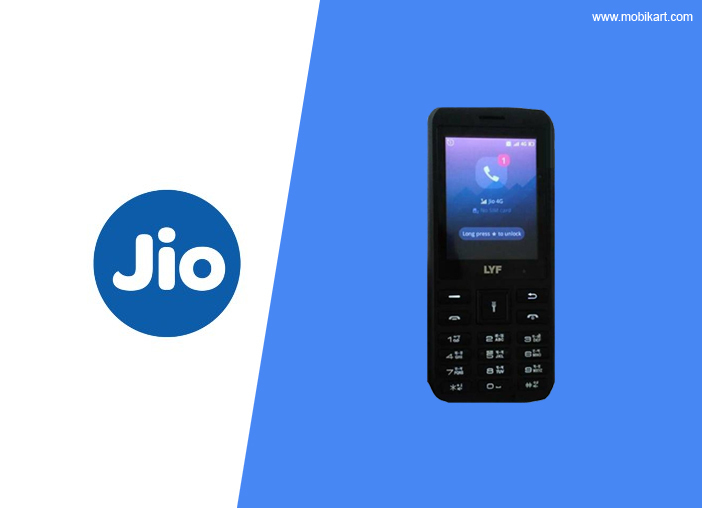 JIO FEATURE PHONE FOR FREE!!!!!! 2.FREE VOICE CALLING FOR LIFETIME. 4.JIO APPA ARE ALREADY LOADED IN THE PHONE. 5.IT HAS GOT MY JIO APP, JIO TV, JIO MUSIC,JIO CINEMAS,AND MANY MORE SUCH JIO APPS. 6.IT WILL BE GETTING NFC SUPPORT AS A PART OF SOFTWARE UPDATE. 8.BUT WE HAVE TO PAY 1500 INR FOR PRE BOOKING WHICH IS REFUNDABLE AFTER 3 YEAR WHILE RETURNING THE PHONE. 1. JIO MADE INDIA NO.1 IN THE MOBILE DATA USAGE FROM 155 THIS YEAR. 2. JIO BREAKING MANY WORLD RECORDS. 3. JIO BEATING ALL COUNTRIES INCLUDING THE U.S.A IN THE MOBILE DATA USAGE THIS YEAR. 4. 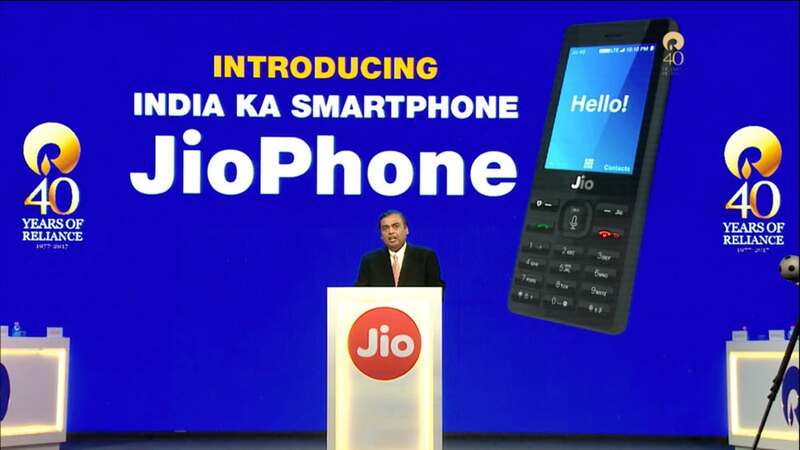 FINALLY, JIO ANNOUNCING ITS INDIA KA INTELLIGENT FEATURE PHONE FOR FREE. 5. IT GIVES THE JIO USERS THE DIGITAL FREEDOM FROM 15 OF AUGUST'17. 7. DEDICATING THE WHOLE SUCCESS TO HIS BELOVED FATHER AND FOUNDER OF RELIANCE MR.DHIRUBHAI AMBANI. 8. JIO ALSO ANNOUNCED ITS NEW PLAN OF "PHONE KA CABLE". 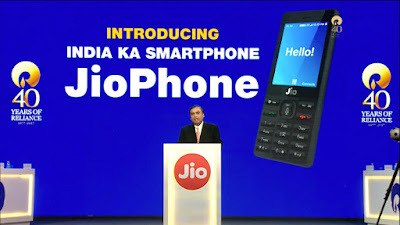 YES you have heard it correctly, its TRUE the new "INDIA KA INTELLIGENT" JIO FEATURE PHONE is FREE.The new new Jio feature phone is announced at the AGM of JIO 2017.It was at the BIRLA hall in MUMBAI.As of every AGM, JIO has announced many offers and mainly the new FEATURE phone .Jio is now CAPTIVATING and CAPITALIZING the 50CR FEATUTRE PHONE USERS out of 78CR mobile phone users in INDIA. 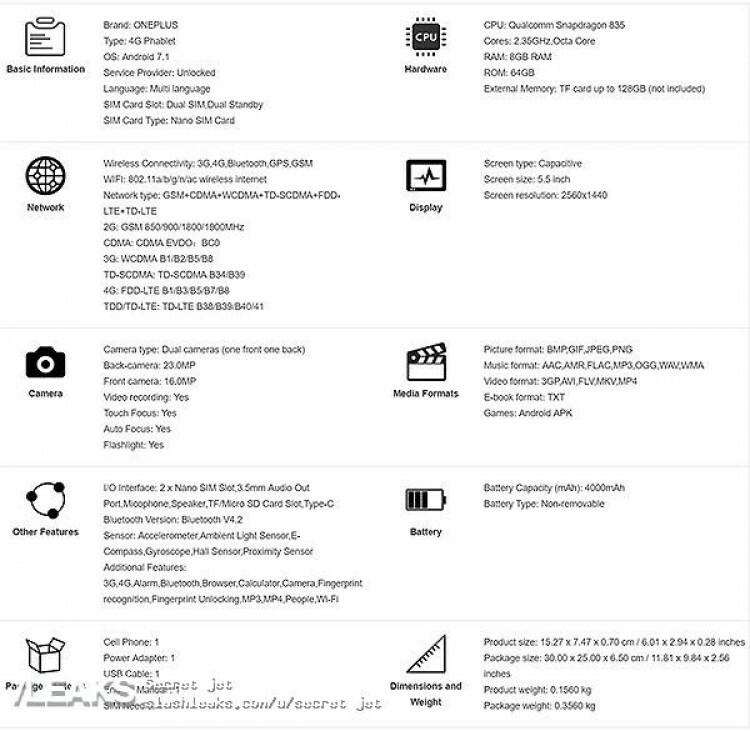 The phone has got all features as of a SMART PHONE.The phone will be available in the market for PRE BOOKING FROM 24 th of AUGUST'17.But people have to pre book by paying 1500 INR which is REFUNDABLE after 3 years. This time VIVO is the FIRST COMPANY to use the LATEST TECHNOLOGY in the market.And it is the QUALCOMM'S "UNDER DISPLAY FINGERPRINT SCANNER". 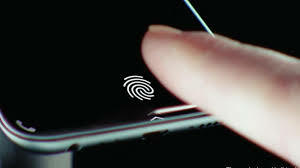 Whole WORLD was expecting an APPLE or SAMSUNG to do it,but it is VIVO who has DONE it.We all know that QUALCOMM made the NEW technology of having FINGERPRINT SCANNERS under the DISPLAY,on the METAL OR GLASS finishing behind and the TOUGHEST one UNDER WATER FINGERPRINT SCANNERS.The last of all the under water scanner was not in anyone's DREAMS may be.Yes the IPHONE8 was rumored that it will have a under display fingerprint scanner but no one expected VIVO to do it.The so called CRITIQUES started saying that it is not what VIVO has done,but it is by QUALCOMM. According to me,when something good happens from the one whom we didn't expect then we have to APPRECIATE the person.And in this case VIVO has changed my opinion.And it is up to the company if it will continue its trust or OVERPRICE their SMARTPHONES as USUAL. 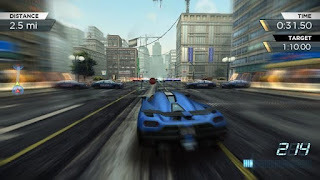 All this happened at the MWC (MWC-MOBILE WORLD CONGRESS) which was held at SHANGHAI. A QUALCOMM incorporated (NASDAQ:QCOM) launched their latest fingerprint scanners which are developed with ULTRASONIC technology.And VIVO has kept the same thing into a PROTOTYPE of their own and ANNOUNCED that they will be the FIRST company to have this latest technology in their SMARTPHONES.They have also announced that they have started the production of the prototype.But there is a chance for APPLE or SAMSUNG to OVERTAKE VIVO that is implementing this new TECHNOLOGY in their upcoming SAMSUNG NOTE 8 OR IPHONE 8.Lets see what happens in september this year,where the SAMSUNG and APPLE are gonna unveil their lastest SMARTPHONES in to the market.May the BEST among them WIN. 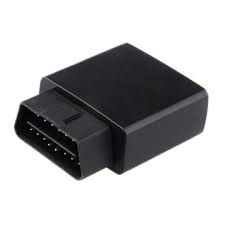 JIO is going to launch a new product which turns "YOUR CAR TO SMART CAR".Some people started getting it as a review unit.Its a OBD device (OBD-On Board Diagnostics).OBD started from 1968 onwards according to some sources.Many OBD devices came into market but, they were not too successful.As JIO is entering into this field,I think this field will get that KICK START.We all know about JIO,it is known for its success in MOBILE NETWORKING.But we also know about the GREAT PLANS it offers in that field.All the TECHIES those who got the OBD device as a review unit are hoping for some free offers on the it as well. The OBD device has a sim card slot as well where you can put a JIO SIM specifically,so that other companies cannot use their product.As of JIOFI one can put a JIO sim in it and create hotspot around them. 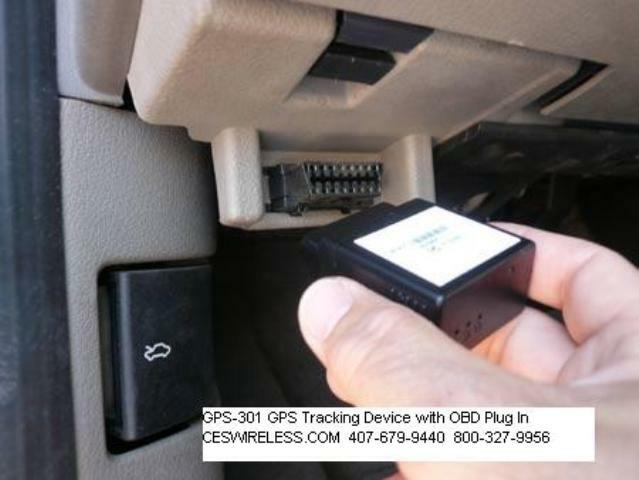 JIO'S plan of bringing the OBD device into market is that "EVERY MOMENT OF YOUR DAY WILL BE SMART".As of now people are only able to access network through their mobiles, but now people can access it through CAR as well.The OBD device will track EACH and EVERY information of your car.The information such as MILEAGE of your car,YOUR DRIVING SKILLS it may be like USAGE OF HAND-BRAKE OR BRAKES. And the MOST IMPORTANT thing is that it TRACKS YOUR CAR,which means you can track your car when you give it to others to use.You can keep an eye on your LOVED ONE'S SPEED OF CAR,such that if your loved one's crosses some limit you may compel them to DRIVE SAFE.It also give alerts such a s to "FASTEN YOUR SEAT BELT".These all things are done through an APP which will be AVAILABLE for ANDROID and IOS devices after the launch of the product.As of now it is in testing process,which is being tested by real time users.This product is sent to some of the techies,so that they can review the product as well.The rumors of this device started way back in october 2016. As JIO brought a REVOLUTION in the MOBILE NETWORK field.This might be a NEW REVOLUTION as well. MODI'S GOVERNMENT want to get INDIA SMART and there are brands such as JIO which literally keep things into action.The JIO BROADBAND is also ready for its LAUNCH,we will be covering it in our further posts. And don't forget to leave your comments below.If you want JIO' OBD device to be FREE for some months then COMMENT, SHARE AND +1 THIS POST. 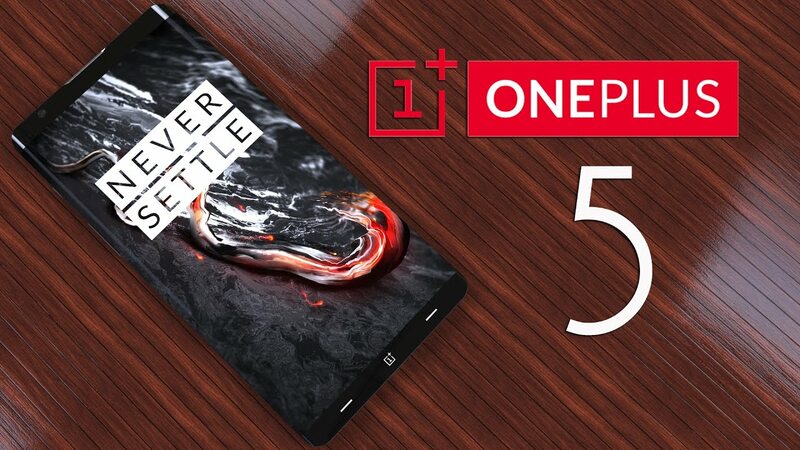 The consumer electronics giant OnePlus has once again proved itself through its new flagship-The OnePlus 5.It is a successor of the company's last flagship-The OnePlus 3T which was released just last year. While the earlier OnePlus 3T featured A Qualcomm Snapdragon 821 processor which packed a unique 2.31 GHz of heavy processing with 6GB RAM,the new OnePlus 5 is released with the latest Qualcomm Snapdragon 835 processor which can deliver 2.45 GHz of ultimate processing and has 8 GB DDR4LX RAM which is to date,the fastest. The latter is generally preferred as the price difference is invariably too low. It was one heck of a package the OnePlus 5 came in.Clean,simple and Powerful.We guys at FaltuCo® have since long been waiting for the package and when it finally arrived on sunday(24/6/17) we were more than just thrilled.I was the one choosen to unbox the package,It came with an official OnePlus Unbox invitee card. 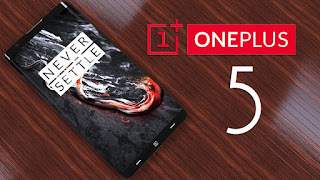 The other guys were obviously brimmed with jealousy and I could see envy beaming out of their faces that I was drawn to be the "unboxer"(lottery basis).That's the way Karma wants it to be :) I'm lucky to be among the very few first unboxers of OnePlus 5 in this world. We got the midnight black color. Simply Perfect.I can't make a comment on this as words fall short to describe it. It was love at first sight with the OxygenOS.It was so minimal and effortlessy powerful.Based on the android opensource framework,the guys at OnePlus seemed to have combined the beauty of android with the power of the beast very gracefully and the result was OxygenOS.I especially liked the Gaming DND mode which blocks all Notifications when enabled and also ramps up the processor and GPU to give an Unmatched Experience. 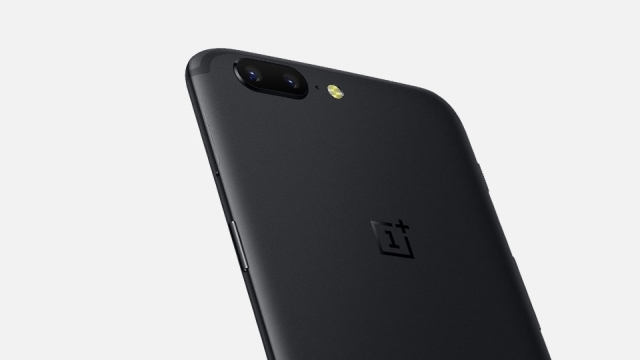 The dual camera has gone through a lot of speculation recently.We were particularly excited about this aspect of the new OnePlus 5.We opened up the camera application.Out.25 seconds passed only staring at the awesome clarity.I don't think any other flagship that exists now has such a good camera.It appeared like i was seeing the image directly in front of my eyes. The camera is a lot more better than the OnePlus 3T.The Sony IMX sensors (rear camera) gave us a pixellage of 16MP and 20MP seperately in ultra HD.The front camera was 16MP and had nothing extravagant about it though. When the sun set,we took the handset out for a night low light test.We went to an extremely dark place and captured photos which came out to be excellent,the kind you would expect from a professional photographer.And the Pro mode isn't even turned on yet.I switched to the pro mode and found a Large array of settings,a lot of them. After about a 428 photos taken,we came to a conclusion that the company's statement of "the best camera on this plant" was far too understated.It was infact the best mobile camera in all of our galaxy(no exaggeration). The charging didnt even go down to 80% even after two long hours.The 3300 mAh surely is badass. We had to actually switch on flash and put loud music for another 4 hours to drain the battery completely.We did this to check the Dash Charge which as said by the company aims at a full battery in just 30 mins. Put the male in the female,switched on power.The bar filled extremely fast,even by Apple's iPhone 7 standards,OnePlus 5's dash charge is extremely faster.40 mins was all it took to get 100% from 2% battery.This is really a good pro for all those executives out there who are busy all the time. 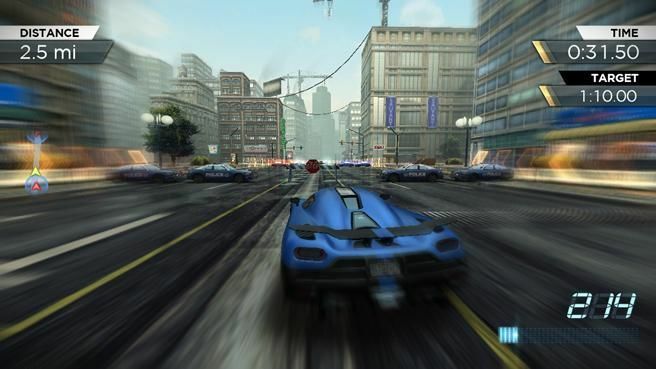 Dead Trigger 2,Asphalt 8,Modern Combat 5,Need for speed:Most wanted,PES,all seemed to run very smoothly on this device.No lag at all,anywhere.Thank the 8 GB DDR4LX,I could even play on PES and NFSMW at the same time multitasking very smoothly at max FPS and Res.This is a very good gaming flagship.The phone did seem to heat up a bit after an hour of play.The Gaming DND mode silently tweaks the phone to Hard gaming standards. 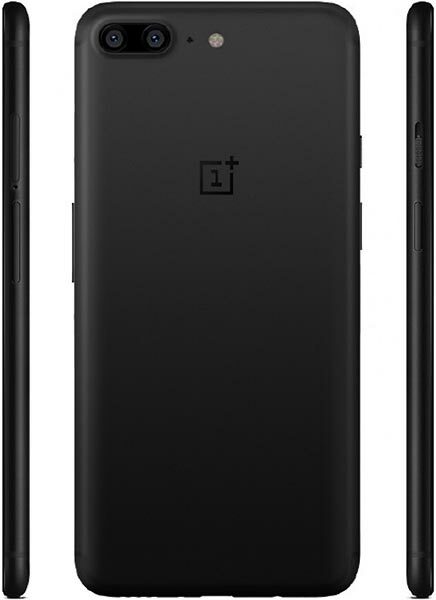 We give the OnePlus 5 an overall rating of 4/5.This is the best rating we've given to any phone this year.We feel this is the best handset released in 2017 yet.It easily beats iPhone 7 on any terms,any day.With OnePlus becoming an elite brand by the day,we highly recommend this purchase if you are going for a high end flagship. 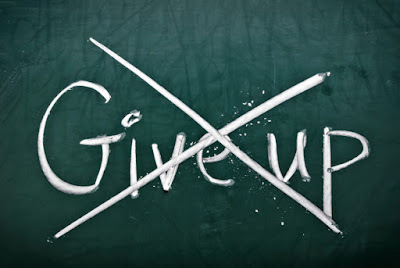 "Failure is the STEPPING STONE to Success"
Pushing one's limits is the most important thing one should do in their life.It is so because pushing one's limits one can ACHIEVE SUCCESS.Always remember FAILURE is the MOST COMMON thing in everyone's life.Failure is more powerful than a NUCLEAR WEAPON,because it can lead a man's life to NO WHERE.Failure is the only moment in one's life where THE REAL PEOPLE come out to you and console you.But according to me the one's those who don't come to you are GREATER than the one's who console,because they think that you are CAPABLE enough to deal with the matter.Yes there are some people out there who feel HAPPY about "YOU BEING SAD",so why should we feel bad.The WORLD is full of FAILURES,yes everyone out there are failures aren't they?Every SUCCESSFUL PERSON is a FAILURE.Success takes its BIRTH in FAILURE remember that. 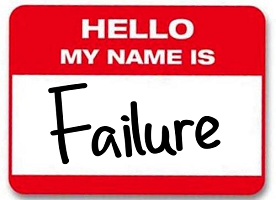 Yes I am too a failure and I think so are you.Like the "Like minds think Alike",let us console each other,so that we feel better.My point is that we are NOT SUCCESSFUL because of the "FEAR OF SUCCESS".Yes fear of success is the most fearful PHOBIA which most of my type call as "THE SUCCESS PHOBIA".We all LOSE at that point when we think,"WHAT HE/SHE MIGHT THINK IF I AM SUCCESSFUL? "Great people say FEAR OF SUCCESS is more DANGEROUS that FEAR OF FAILURE. 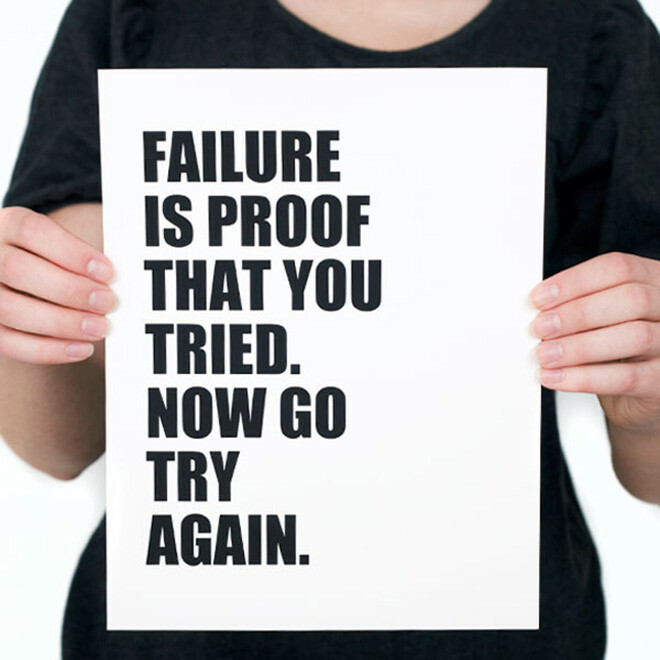 Everyone fails in LIFE but that's not the END,am I right? 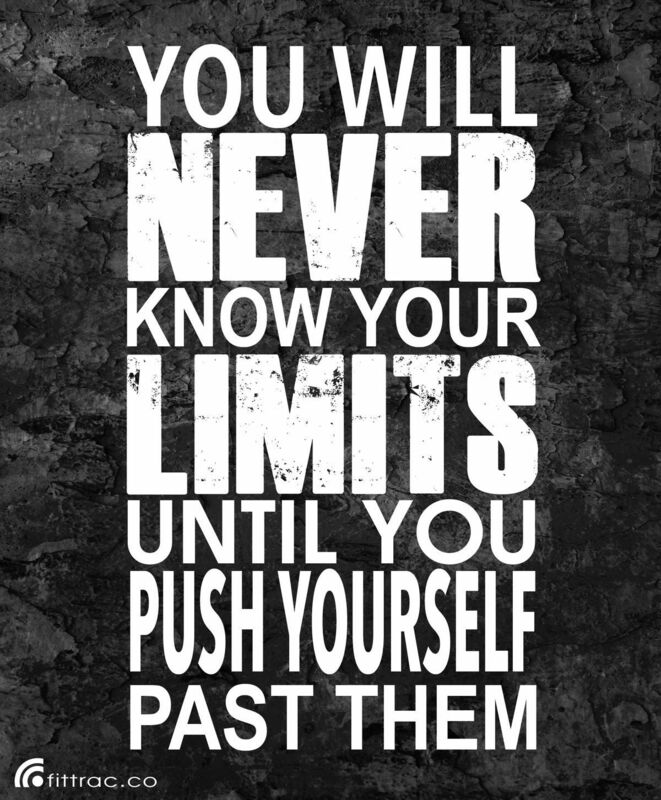 SUCCESS goes to that person who overcomes his failures,pains,weaknesses,sorrow and what not(etc......)Remember that a person who comes FIRST in a RACE is the person who already came second or failed to run initially.But he PUSHED HIS LIMITS.My question is that how many of know YOUR LIMITS?You might be thinking what are limits?Limits are those FICTITIOUS THING which our BRAIN thinks and doesn't let us to MOVE ON.Let me give an example,can anyone RUN for 2 days continuously?your BRAIN might be thinking A BIG "NO",but it is POSSIBLE to the one WHO is trying out there to make the same as a RECORD. So from the above EXAMPLE we come to know that "EVERYTHING IS POSSIBLE AND NOTHING IS IMPOSSIBLE". 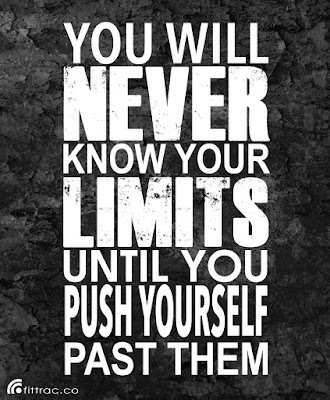 PUSHING YOUR LIMITS TO ACHIEVE SUCCESS. KEEPING COOL EVERY MOMENT OF YOUR LIFE. 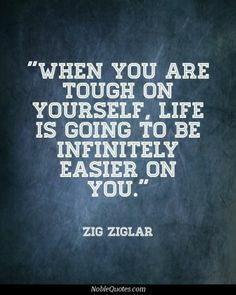 ENJOY THE FRUIT OF YOUR HARD WORK( SUCCESS ). Hope you have liked this and even hoping that we both become successful some day. 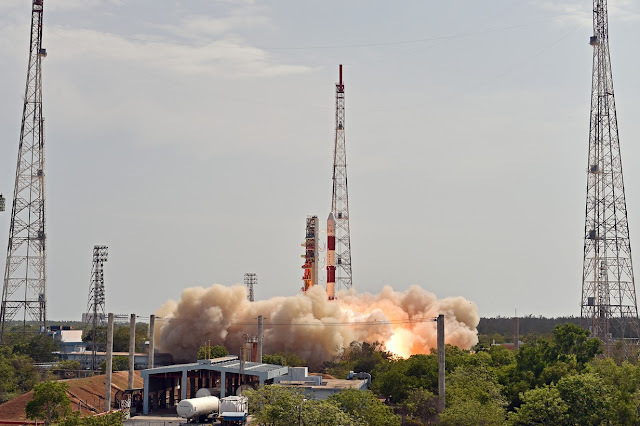 ISRO launches the PSLV-C38/CARTOSAT-2 successfully.It launched 31 SATELLITES at a time on 23rd JUNE'17 at 09:29 AM IST from the Satish Dhawan Space Centre SHAR, Sriharikota.While NASA launches WORLD'S LIGHTEST SATELLITE made by an 18 year old student of Chennai on 22nd JUNE'17 weighing 64 GRAMS, ISRO is no less,as it launched the PSLV-C38. 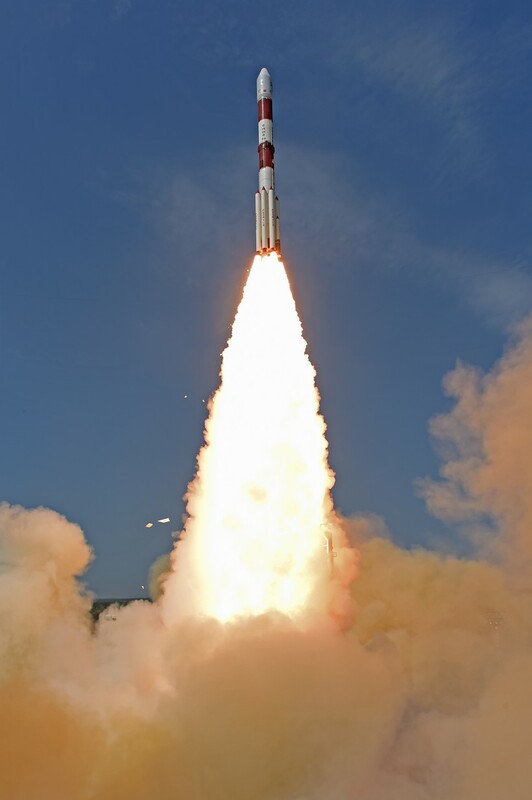 We all know that ISRO is that space organisation which already bagged a WORLD RECORD of launching 104 satellites at one go.Lets talk about the PSLV-C38 (PSLV-Polar Satellite Launch Vehicle)it has got 712kg weighing Cartosat-2 which is used for nano level remote sensing program,which will be helpful for the military and defense fields of India. PSLV-C38 lifted off at 0929 hrs (9:29 am) IST, as planned, from the First Launch Pad. After a flight of about 16 minutes, the satellites achieved a polar Sun Synchronous Orbit of 505 km inclined at an angle of 97.44 degree to the equator (very close to the intended orbit) and in the succeeding seven and a half minutes, all the 31 satellites successfully separated from the PSLV in a predetermined sequence beginning with Cartosat-2 series satellite, followed by NIUSAT and 29 customer satellites. The total number of Indian satellites launched by PSLV now stands at 48. 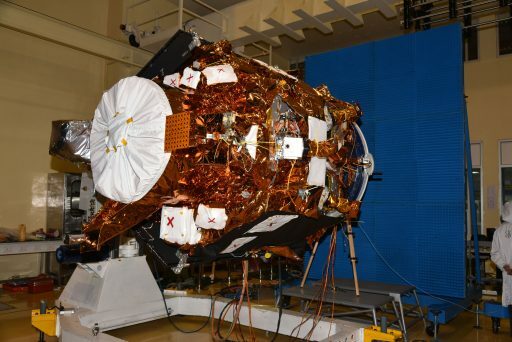 After separation, the two solar arrays of Cartosat-2 series satellite were deployed automatically and ISRO's Telemetry, Tracking and Command Network (ISTRAC) at Bangalore took over the control of the satellite. In the coming days, the satellite will be brought to its final operational configuration following which it will begin to provide various remote sensing services using its panchromatic (black and white) and multispectral (colour) cameras. With today’s successful launch, the total number of customer satellites from abroad placed in orbit by India’s workhorse launch vehicle PSLV has reached 209. ISRO gives some updates out after the success about their previous satellites and also says that it would launch another COMMUNICATION SATELLITE on 28th JUNE'17. ”Congratulations to ISRO on its 40th successful Polar satellite launch ... You make us proud!” Prime Minister Narendra Modi tweeted. Modi's government has been promoting the space programme as a showcase of low-cost technology. In 2015, the global space industry was valued at $323 billion, according to Space Foundation report, and India accounted for just 0.6 percent of that business. Friday's lift-off comes 18 days after India put a three-tonne satellite, its heaviest, into the orbit matching the technical know-how of the United states, Russia, China, Japan and the European Space Agency. ”Our effort of continuing to provide increased earth observation, navigation as well as communication will continue,” ISRO chief A.K. Kiran Kumar said in a speech after the launch. After MASSIVE 180 RUN WIN of PAKISTAN over INDIA on 18th of JUNE'17,there was something that happened unexpectedly.And that was SHAMI losing his cool over a PAKISTANI FAN who was TAUNTING "BAAP KAUN HAI? ".Let me make you clear of this incident,it was FATHER'S DAY on 18th JUNE'17 and the social media started going crazy saying that the BAAP(INDIA) would surely win over BETA(PAKISTAN).While this was the thing going round the social media then happened the unexpected thing of PAKISTAN winning.As PAKISTAN won the fan who were feeling degraded by this BAAP BETA relationship started taunting BAAP KAUN HAI and some other things as well.This happened while the Indian players were getting into their dressing rooms after the match.While all the players were just listening and putting their heads down and walking away,some fan out there started shouting loudly "BAAP KAUN HAI? ".Listening to this SHAMI turned back and started walking to the fan , then comes the FORMER INDIA CAPTAIN DHONI he stopped SHAMI going to him.Finally taking the whole situation into his control DHONI take SHAMI to the dressing room. Yes, the fans should have not done that but it happens to every team who have done bad in the match.But some guy in the social media started saying that it is FATHER'S DAY GIFT for the lovely BETA(PAKISTAN) the next day.The social media is so powerful that it circulates anything that is funny,entertaining,outstanding,marvelous etc....Hope you have liked our this page and hope that you will share it to your near and dear.Wish to see you in my next topic.